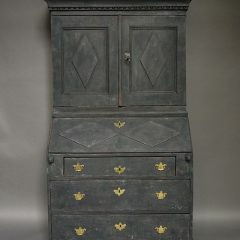 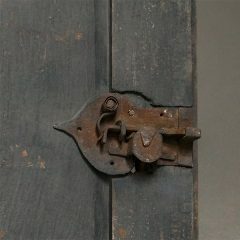 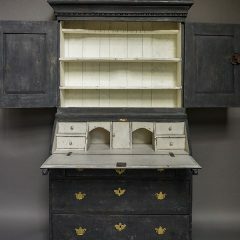 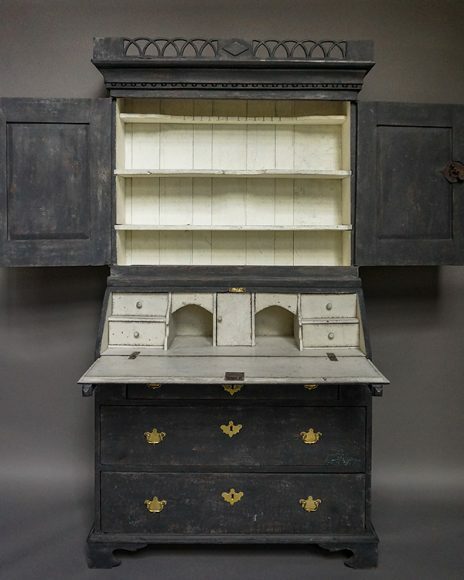 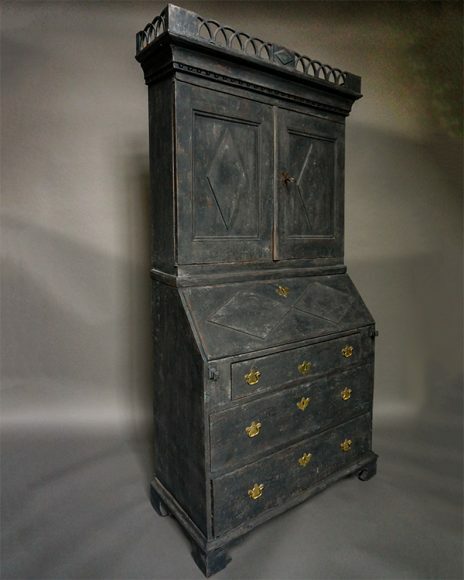 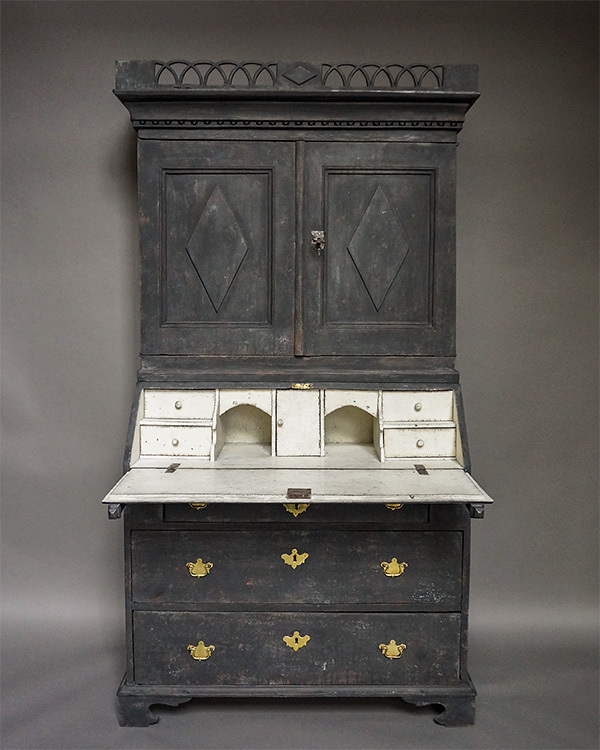 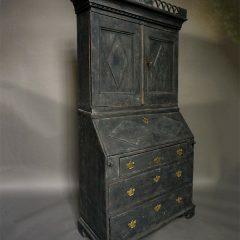 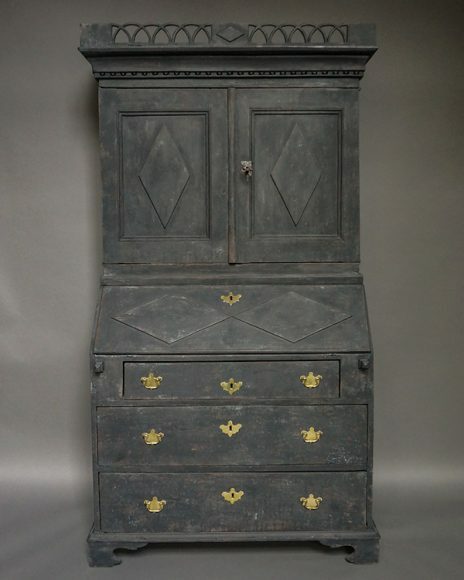 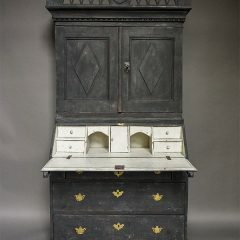 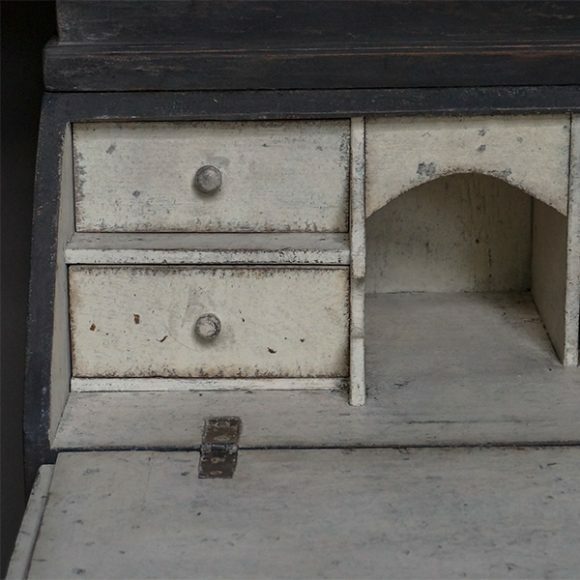 Two part secretary in black paint, Sweden circa 1790, with original lock and key. 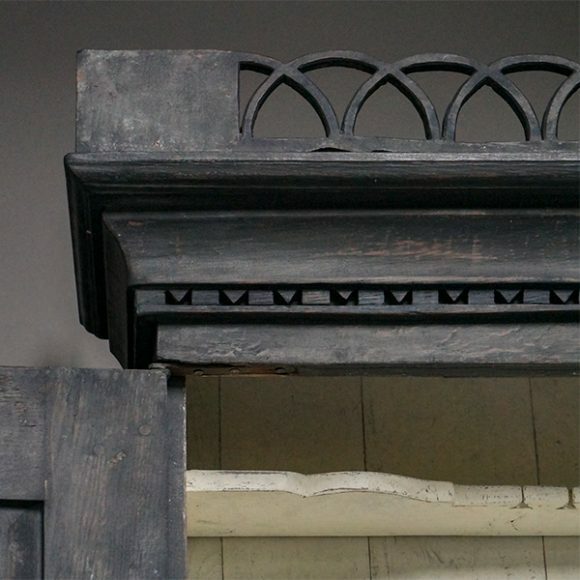 The upper section has a remarkable pierced cornice and two raised panel doors below dentil molding. 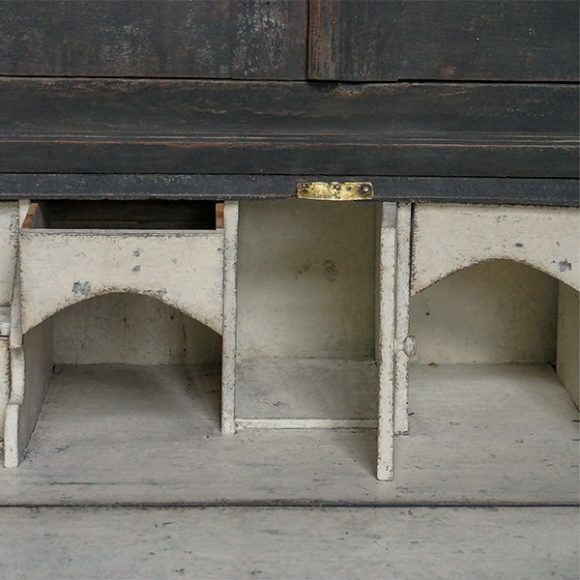 The interior has three fixed shelves, the upper one with notches for spoons. The lower section has a fitted interior behind the slant front and three drawers, two of them full width. The supports for the writing surface terminate in hand-carved knobs. 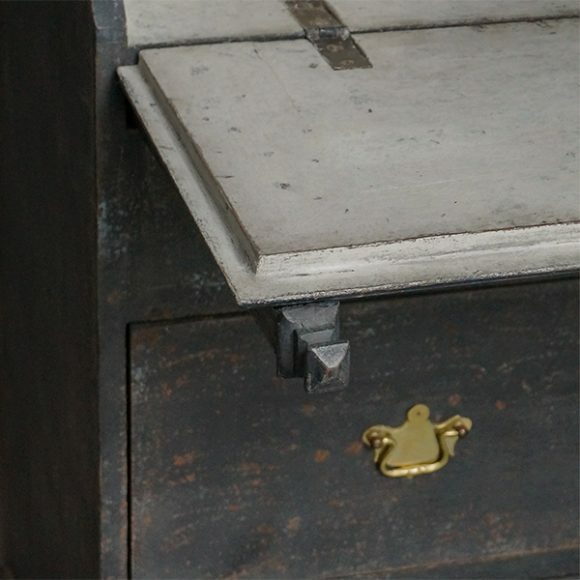 Shaped bracket base.